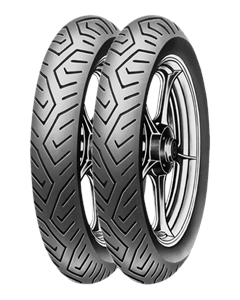 A x-ply tyre for Touring motorcycles. A tyre with a conventional structure suitable for sporting use on small and medium-powered bikes in all weather conditions. Good grip on wet and dry surfaces with high mileage thanks to the use of specific compounds. Available with speed ratings P / T / H / S.